I’m well aware it’s Thursday. 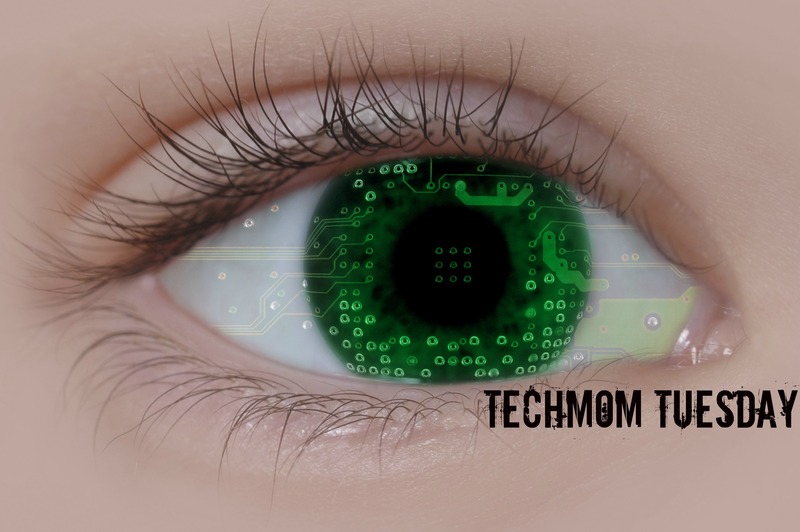 TechMom Tuesday is typically published the first Tuesday of every month, and this month I’m all nostalgic about the future. (Oxymoron on purpose unless you’ve got a flux capacitor.) I reserve the right to rant more or less as the technical goings-on, well…go on. We recently had to register the TechTots for pre-K. For those of you reading this post as an interlude to arguments with your sullen teenager, you may not think pre-K sounds all that exciting. But for me – the sheer amount of technology it took to get us home from the neonatal hospital in the first place makes this feel as though I accidentally slept-walk into a time-traveling TARDIS. As part of the pre-K preparation process, TechDad and I toured the preschool campus. Part of this expedition took us through the school computer lab, where a class of students was diligently typing away. Each student was seated at a laptop, engrossed in their task and removed from the reality around them via high-end headphones. How far technology has taken us. I remember my first foray into the wonderful world of Apple technology. I was 7-years-old, standing in my father’s wine and cheese shop debating which candy bar to devour, when my mom shared the big news that our family was getting a computer. 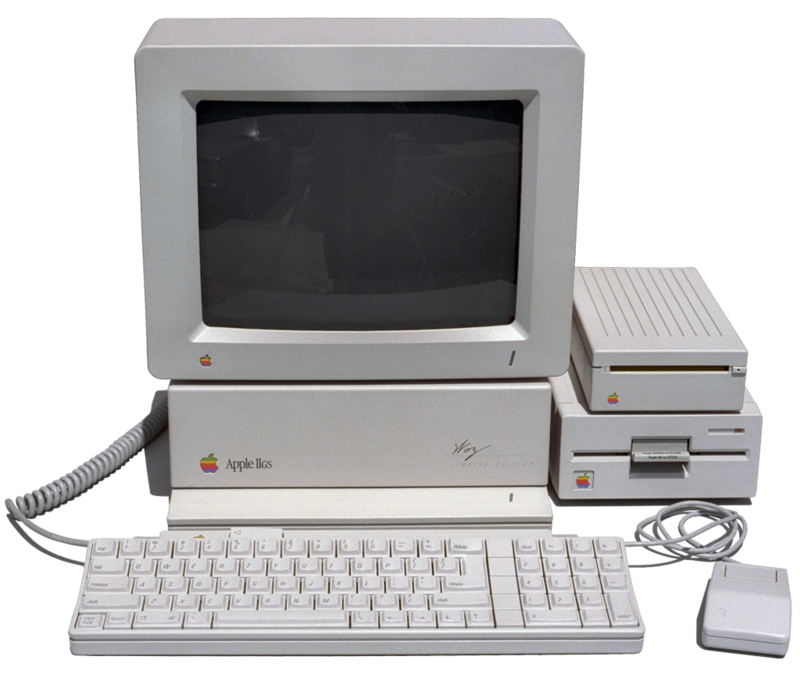 It was a state of the art Apple IIgs. It was a powerful machine: running on a 16-bit processor at a speedy 2.8 MHz. With 256kb of ROM and RAM built-in, it was more memory than anyone would ever know what to do with. Five has always been my lucky number. And the Apple IIgs was the fifth model in the Apple II series. The “gs” was added to the title because of its fancy enriched graphics and sound capabilities. The two 5.25 stacked floppy drives opened a whole new world. The colorful logo on the monitor always looked like it read Apple Igloo to me. I’m sure adults did something on the computer too – but I couldn’t be concerned with that. 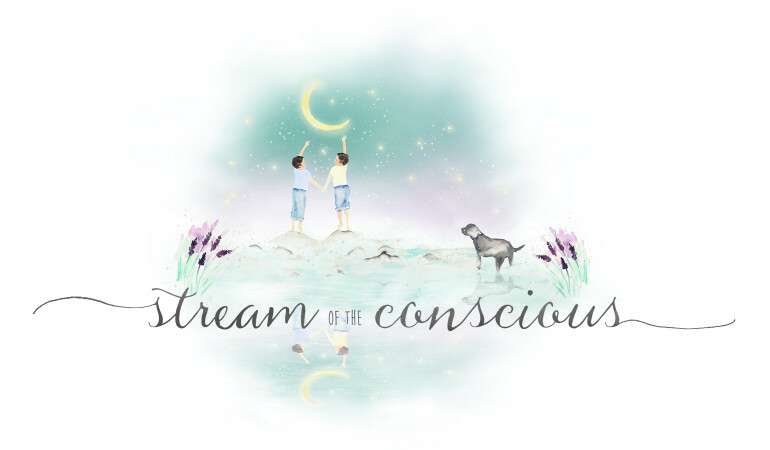 I heard rumors of a mythical program called Prodigy; the really big kids at school (the 5th graders) said it was a magical program that could change grades (because those grade school grades are a killer on your PERMANENT RECORD). Each week the elite GATE group (gifted and talented education) got a half hour of computer lab time – where they played Word Munchers. Technology in schools was quite the novelty. My generation is the bridge between yesterday and the always-on of today. We started our lives with only the bare necessities – electricity, copper land-lines and rabbit ear antennas. The light speed of development has completely changed the way we communicate. (A truly fascinating concept for this Silicon Valley girl with a communications degree.) Technology has changed the course of civilization. This is no exaggeration – society now interacts differently than they did in our parents’ generation. Today’s TechTots across the world now believe their grandparents live inside the iPad. They play with toy (and totally real) computers. The iOS is as much a part of life for our children as the experience of television and microwaves was for us; it is simply integrated into life. Who knows what will come next. How simple will the TechTots one day think the apps Clinton and I extoll on this blog are? I’m excited to one day find out; maybe that’s why I continue to document the journey with my iPhone, iPad and MacBook. They grow up so fast.